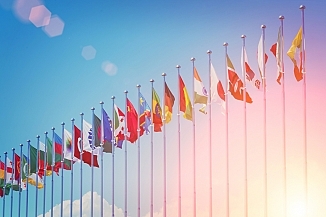 There are no countries that have a flag that is entirely black and white. However, there are some regions, such as Brittany and Cornwall, that have black and white flags. Brittany, a region in northwest France, is one of the world's territories that boasts a black and white flag. 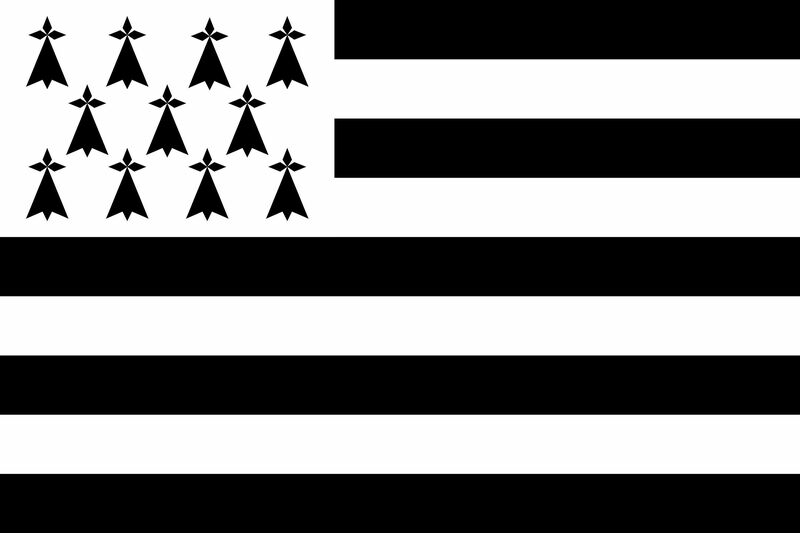 The unofficial flag of Brittany comprises of nine horizontal bars alternating white and black with a black stripe at the top, and an ermine canton on the upper corner of the hoist side. The five black stripes are for the traditional French-speaking dioceses while the four white stripes stand for the Bretton speaking dioceses. 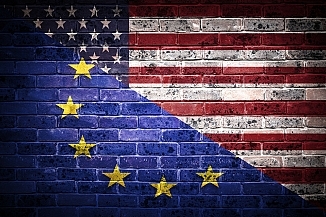 The flag is mainly used by separatists and cultural associations and can also appear anywhere including public buildings. Cornwall is a county located in South West England and bordered by the Celtic Sea and the English Channel to the east and south respectively. As a county in England, the design of its flag, known as Saint Piran’s Flag, resembles the country’s flag with the only difference being the choice of color. Unlike the English flag that has a white background and a red cross, this flag has a black background with a white cross on it. The origin of Saint Piran’s flag is not quite clear with other sources claiming that it may have been designed around 1188. 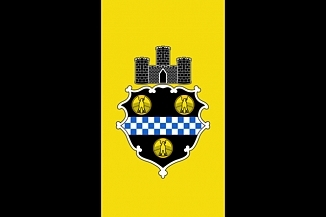 The flag is mainly hoisted on most buildings in Cornwall and flown during Cornish gatherings. The silver fern flag is the unofficial flag of New Zealand. 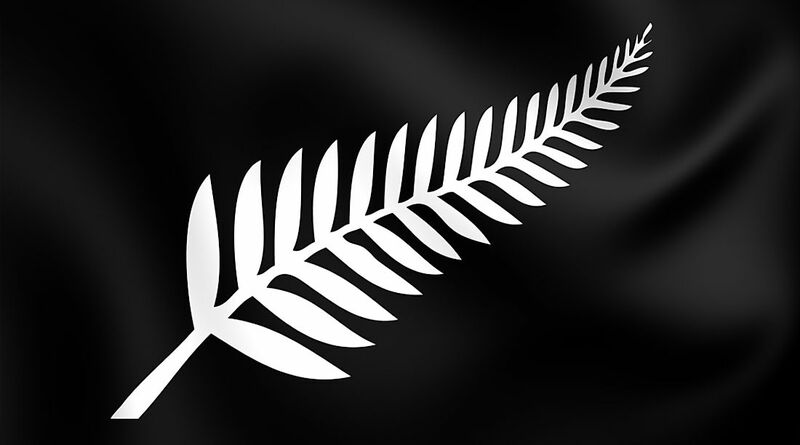 This flag consists of a white fern on a black background. The silver fern is a species of fern tree endemic to New Zealand and often recognized by the silver-white color underneath a mature frond. Therefore, silver fern is considered as one of the national symbols and is incorporated in the country’s coat of arms and one dollar coin. The silver fern flag was featured in the 1980 Summer Olympic Games in Moscow when the New Zealand athletes competed under the country’s Olympic Committee. 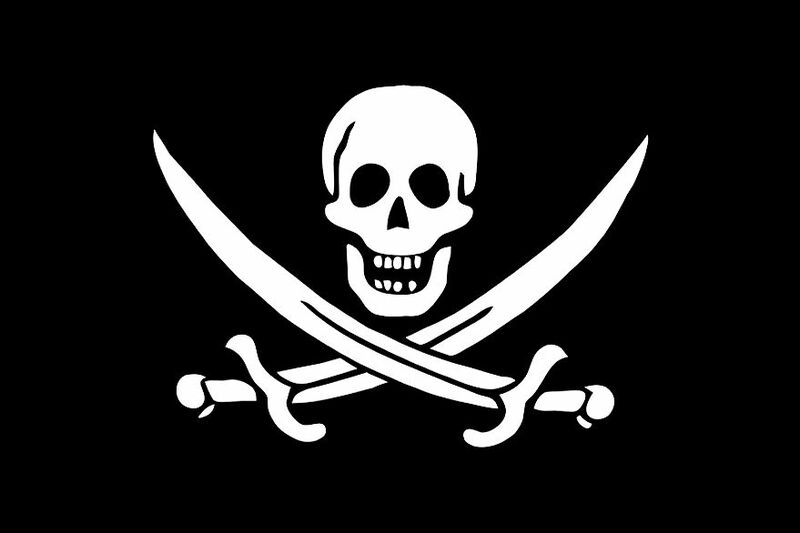 The Jolly Roger refers to a pirate flag that was flown whenever a pirate ship is about to launch an attack. 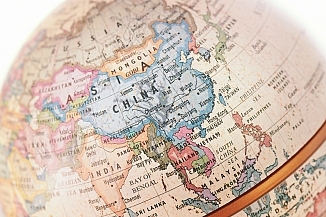 The flag design consists of a black background with a white skull and crossbones at the center. The flag was used by(mostly British) pirates throughout the 1700s. The skull and crossed bones were meant to warn of pending fetal attack.